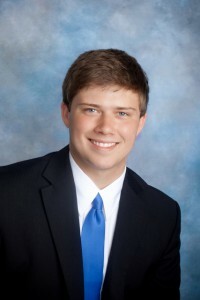 Jacob Ashley is a senior who has chosen accounting and finance as his business concentrations. On campus, he is involved in the organizations Real Estate Network Association, Finance Society, and Accounting Society. He centers his involvement mainly on real estate and finance, as he is the officer of both the Finance Society and Real Estate Network Association. In fact, outside of his studies Jacob is a licensed realtor. He also plans to become a CPA (Certified Public Accountant) in his future endeavors. 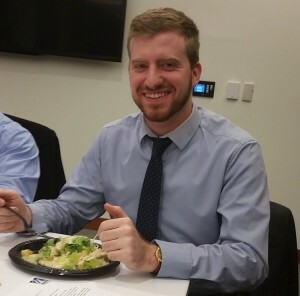 Jacob is one of the many fortunate students who gained an internship at Putnam Investments. On November 8th, 2016, he was able to invite one of his colleagues from Putnam Investments to the Finance Society meeting to speak about their experiences in the business world. As a commuter, Jacob is able to balance an internship, his classes pertaining to both concentrations, and clubs… proving that nothing is impossible! His favorite thing about UMass Lowell he quoted as, “being able to attend and be a part of a growing University less than 15 minutes from my house.” For more information on how to get involved at UMass Lowell, feel free to say hello to Jacob in the hallways! Steffan is a business major with concentrations in both Management and Marketing. 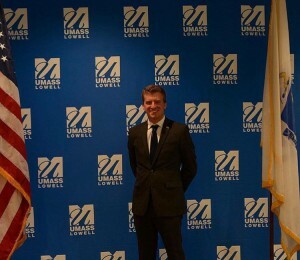 He is a transfer student from Massasoit Community College and is now a senior at UMass Lowell. Originally from Stoughton, Massachusetts, Steffan currently resides in the ICC downtown Lowell. Steffan has pursued an extremely successful path here at the university. He is a double concentrated major, has an internship, and is also involved in many different organizations. Some of those include MALES, Dean Student Leadership Council, Men’s Club Basketball, and Make-A-Change Inc.
Make-A-Change Inc is a nonprofit organization that Steffan has cofounded over the last few years. This organization is dedicated to changing the lives of young individuals that have endured hardships in their short lives through neglect, drug addiction, etc. Please visit their website to read about his involvement and the impact his team has made along the east coast. 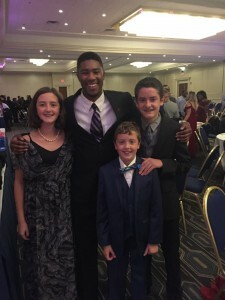 Pictured above is Steffan at the First Annual Gala for Make-A-Change Inc. with Professor Magnant’s children. Steffan had a very successful turnout for the event. It’s wonderful to see individual involvement, especially from staff members such as Professor Maganant and her family. His succes s at the university was made possible by those he has met at the university. “Professor Jordan’s class and Professor Magnant have been a blessing to my learning and growth,” quoted Steffan. He has taken full advantage of his time here even so by obtaining an internship through the Career Fair last year. Please remember to checkout the Make-A-Change Inc. website to help out this great non-profit organization. If you liked Steffan’s story, contact Kellsie Howard at Kellsie_Howard@student.uml.edu for more information! Amanda is a business major with concentrations in Marketing and International Business, although she says this may change since she’s only a sophomore at Umass Lowell! 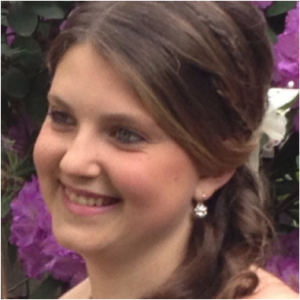 Devoting her success to living on campus, Amanda has shown that she’s very involved on campus. She is currently participating in certain organizations such as the Colleges Against Cancer committee and Dean’s Student Leadership Council. Both of these are well-respected and favored by many at the university. Amanda also has time for an on-campus job. 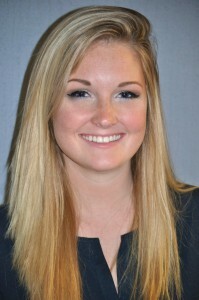 She is currently the Social Media intern for the Manning School of Business- check out her posts on Facebook and Twitter! “If I hadn’t decided to attend UMass Lowell, I don’t think I would’ve had the opportunity to become so involved on campus,” quoted Amanda. Fox Hall is the freshman dorm that 800 students of all different majors resided in. Of the 18 floors within the tall building, three were renovated and devoted to certain majors. The 6th floor was considered the “Business LLC” and was where Amanda, myself, and 40 other students lived. We were able to attend many business activities offered by the university. Side Note: Relay for Life is an amazing fundraising event for the American Cancer Society. Last April, many students gathered in the east campus gym to support and raise money for the ACS. If you have a free night to attend this event, or even would like to donate to this great organization, be on the look-out for next year’s event! Amanda has taken advantage of every opportunity as a freshman at the Manning School of Business where she has joined many clubs, obtained a job on campus, and built strong connections with other business students and faculty members. If you’d like to send me your most memorable moments at the university, please email me, Kellsie Howard, at Kellsie_Howard@student.uml.edu! Alex has taken on the responsibility of completing not one, not two, but three majors here at Umass Lowell. His field of studies include business, economics, and mathematics. He has successfully juggled being a triple major on top of running the finance society and maintaining an internship. Alex’s passion for education and success comes from his upbringing. He has traveled the world, learning new and great things from each country he visits. 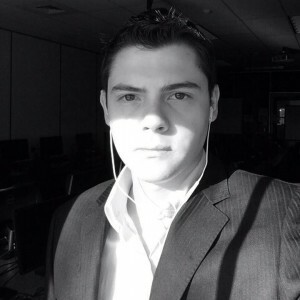 Alex is involved in numerous organizations seen around campus. You can almost always find him and Naveen Kumar working on projects in the Bloomberg Lab located on the second floor of Southwick Hall. They played a large role in bringing the Bloomberg terminals to the university and are quoted as saying that they are a “huge step forward for the university.” Check out the article linked to Bloomberg Lab to learn more about it! Internships and Co-ops are a must before you start applying for your dream job. Alex has started putting his tools to work, having already obtained internships at Wainwright Investment Council as a financial analyst and at Biogen as a summer analyst. Side note: Please visit the Co-Op Center for more information on how to apply for one, and why it will be an advantage to you in the working world! Although he does not live on campus, he has certainly succeeded in different aspects of the university. He has explored three different sectors of the university through his majors, joined a few clubs, and made plenty of acquaintances. Alex has always told me that networking is his key to success, so be sure to get to know your professors because they have a lot to offer! Seeing how successful he has grown to become, this piece of advice proves to be true. If you enjoyed Alex’s successful journey at the university, please email me, Kellsie Howard, at Kellsie_Howard@student.uml.edu to share your own! Briannah is a very successful management and marketing major who has fully indulged herself into Umass Lowell by joining many clubs, participating in community service events, and working on campus, all while upholding a solid GPA. There seems to be nothing that holds Briannah back as she balances these key factors to her success! One way Briannah is able to be so successful is by finding a quiet place to get down to business. There are many places on campus for students to relax and do their homework such as Starbucks on north campus, the business study center located next to the Bloomberg lab in Southwick Hall, or the Club Hub, which is where Briannah likes to go. Before coming to campus, Briannah went to Bontoon High school located in New Jersey, where she lives when she’s not on campus. As a high schooler, she was able to find the time to play field hockey for four years and participate in more than ten clubs such as Key Club, French Club, Peer leadership council, and more! When she came to Umass Lowell, living on campus was something she spoke highly of. Many students who live amongst their peers can agree that you are way more involved. Briannah is also involved in many organizations on campus including Colleges Against Cancer, Relay For Life, American Cancer Society, Honors Ambassador Council , Dean’s Student Leadership Council, Marketing Club, and even Division 1 Varsity Field Hockey. That being said, it is very easy for students to join as many clubs as they please, and even rise the ranks to become president, treasurer, or other officer positions, as Briannah has proven. Side Note: If you’d like to join Marketing Club, please email Briannah_Larsen@student.uml.edu for more info! Having personally worked alongside Briannah in the Office of the Business Dean, she is definitely a prominent face of the Manning School of Business. I believe that by striving here at Umass Lowell, she will continue to be successful in her future endeavors. If you’d like to share your accomplishments and show the Manning School of Business what you are made of, please email me, Kellsie Howard, at Kellsie_Howard@student.uml.edu to share your story! 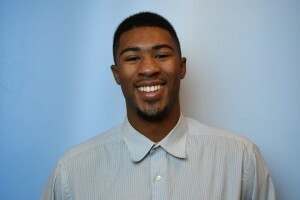 Andre is currently a Business Marketing major going into his Sophomore year at UMass Lowell. He’s from Saugus, Massachusetts which is about 45 minutes from Lowell. At his high school, Mystic Valley Regional Charter School in Malden, he was Senior Class President and participated in a number of other clubs. 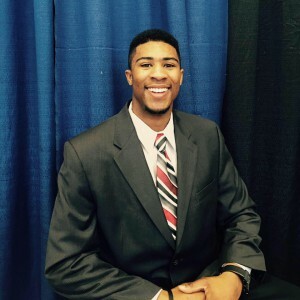 “I ended up choosing UMass Lowell because I felt as though it was the best combination of a quality education, good atmosphere/campus, and an affordable price,” quoted Andre. “I ran for the position in the Fall election my freshman year along with 14 other people and won, and then was re-elected at the end of that year for my sophomore year where I and 8 other people ran for the position. Basically what my position does is represent the student body as a whole, rather than an individual group of students like other senators who represent a specific college (like a senator of the Manning school of business, senator of the school of engineering, etc). I’d say my general experience for the first year was really good, I sat on the Finance Committee which handles grant requests from clubs and organizations, and I also sat in on the Events Committee which throws different events and co-sponsors other club/organization events. I also visited the state house with a few other senators and executive board members last semester where we spoke with state senators to advocate for higher funding. Please remember that the members, such as Andre, on the Student Government board represent the entire student body. He is friendly and willing to listen to any concerns or praises that students may have! Many freshman business students living on campus either lived in Fox or Leitch Hall on east campus. Andre lived in Leitch Hall with three other roommates in a quad. This dorm is strategically placed right across the street from the campus dining hall and the gym, two of his most visited locations. “Making friends was pretty easy for me since there’s a lot of varying types of people on campus, and every person has something different about them.” Take it from Andre, an outgoing and aspiring business student, that living in Leitch Hall gave him the full experience of making new friends. Side note: If you are reading this and have never been to a hockey game, please take the opportunity to go to one as a student! They are free and always give you something fun to do on a Friday or Saturday night. If you like Andre’s story and want to share your own experience or elaborate on one of his, please email me, Kellsie Howard, at Kellsie_Howard@student.uml.edu! Meet the person who will be featuring the students of the Manning School of Business. She is the go-to individual to share your backstories and accomplishments with. Students, business faculty members, and alumni will look to this blog to read up on the faces of the university. Read her story below! If you would like to be featured on the blog, please email “Kellsie_Howard@student.uml.edu” for further information. My name is Kellsie Howard and I am currently a sophomore here at Umass Lowell. In only a year, I have accomplished many of the goals that freshman say they will complete when they come to college. I obtained a job on campus, maintained honor roll grades both semesters, made new and great friends, and so much more. With that being said, my parents now proudly wear the “University of Massachusetts Lowell” bumper sticker on our Honda Pilot back home in Georgetown, MA. As sophomore year slowly comes to a start, I am no longer the solo freshman girl, lost on her journey to find Pasteur Hall- which is within Southwick Hall to all the new students reading this! I am very thankful for the new sidewalks connecting Pasteur, Kitson, and Southwick Hall as many freshman will never know the struggle of finding your way from one hall to the next throughout the buildings. Word of advice: Pay attention to the “SO’s, KI’s, and PA’s” in front of the room numbers or you could find yourself in “SO 305” rather than “KI 305,” which is much further down. Just two years ago, I attended Georgetown High School. I was still unsure of where I wanted to go to college in February, only a month before the deadline to approve. I quickly chose Umass Lowell just a week before the deadline because it was the most affordable option for my family. Even though the university wasn’t my first option at that time, I chose to make the best of it until I began the school year. 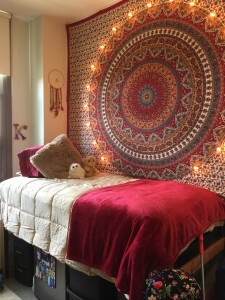 Because we were saving money by choosing this school, I was able to buy the coolest dorm accessories, afford all my textbooks, and even chose to live in the more expensive dorm room option- the renovated 6th floor of Fox Hall. Once I got to Umass Lowell, I made a lot of friends that lived on my floor because I chose to live in the “Business LLC.” An LLC is short for a Learning and Living Center, which has all students of the same major living on one floor. All 40 boys and girls living on the 6th floor were outgoing, business-minded, young professionals. We bonded over the weekly tough homework problems we got from Professor Tim Cook for Exploring the Universe, and worked together on homework until Adam Boudreau would send us the messy solutions for Management Calculus. This was my favorite memory because many of these individuals became some of my best friends in only a few months. After just a few weeks of being at the university, I realized that Umass Lowell was not only the most affordable option for me, but my best option. There is so much room to thrive and become successful. All of the faculty and staff members truly care about the person you are and treasure the education they are providing for you. They must be doing a good job for everyone, though, because The Eagle Tribune and Business Insider listed Umass Lowell as the most underrated college in America. I believe the smartest decision that I made my freshman year was getting an on-campus job. Being broke in college is a real thing! I thought I had saved up enough money from my summer job to last me the entire freshman year- it only lasted me the first semester. I got a job working in the Office of the Dean in Pasteur Hall 305 (where you come to get your class advising for each semester). I have grown to love the people I work with and it’s a pleasure to learn from them as successful individuals. Whomever you decide to work for on campus will know a great deal that you can learn from. Clubs. You can never join enough clubs at Umass Lowell. We have hundreds of categorized clubs including Finance Society, Accounting Society, Marketing Club, and more, to name a few business-oriented clubs. It is super easy to attend a meeting for any of these clubs which are usually just one hour of your time a week, and take place at night when all of your classes have ended. I’m always open to adding more clubs to my schedule because not only are they fun and easy-going, but they look great on a resume to employers- from one business student to the other. Whatever you have chosen to do with your time here at the university, I would love to get the chance to share your stories with people who want to read them. I hope that my kick-off story has influenced you to either get involved with the university or send me your own story! Welcome to the new blog for the Manning School of Business! The Robert J. Manning School of Business is at the forefront of a transformative era. From the strength of our students to the excellence of our faculty, we are educating the next generation of global business leaders. Representing our culture of entrepreneurship – the Pulichino Tong Business Building (read the story).